Before 1996 there was never an MLB season which featured more than four starting pitchers who averaged at least one strikeout per inning. 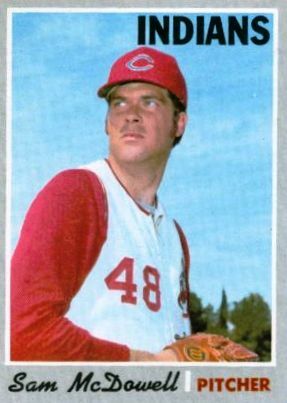 In 1965 and 1986 there were four starters who posted at least 9 Ks/game. The ’60’s were led by Sandy Koufax and Sam McDowell while the 80’s featured fire-ballers Nolan Ryan and Bobby Witt. As the strikeout began to rise during the steroid era we saw eight high K starters (9+ SO/9 innings) in 1998 and ten in 2002. From ’02-’04 alone there were 29 individual high K starting pitcher seasons. Kerry Wood, Mark Prior, Jason Schmidt, Randy Johnson and Pedro Martinez averaged at least one strikeout/inning in all three seasons. There was a slight dip in high K starters during the next four seasons before an explosion in 2009. An all-time high of thirteen high K starters appeared in ’09, a feat matched in 2010. This record was quickly broken in 2012 with fifteen and subsequently tied last year. Five pitchers recorded at least 9 strikeouts/game in each of the last two seasons, they are: Yu Darvish, Chris Sale, Stephen Strasburg, Max Scherzer amd Jeff Samardzija. How many of these will repeat the feat in 2014? *Thank you to Baseball-Reference.com for all this awesome data. 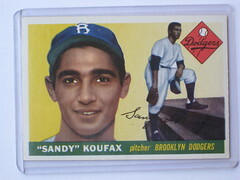 Ever since we bought our first pack of Topps baseball cards it’s been pounded into our little brains how dominant Sandy Koufax had been. The most common reference point for this idea is the 1966 season during which “The Left Arm of God” pitched the Dodgers to the World Series while sporting a 27-9 mark with a 1.73 ERA and winning his 3rd CY Young Award in four seasons. 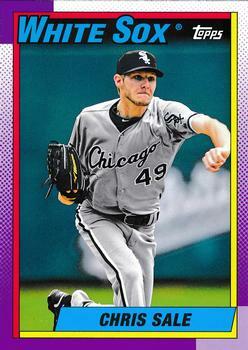 Is this still the gold standard for pitcher performance? If the Dodgers received Übermensch pitching like this each day they would coast to 125 win seasons. Seems like everyone else was fighting for silver but we must at least glance at his contemporary’s peak stretches. Comparing their overall run prevention to that of freely available talent (WAR) and evaluating them based on outcomes they exhibit control over (strikeouts and walks) we find Koufax does in fact have a few worthy adversaries. 1) The cluster of extraordinary seasons occurring in vastly different run-scoring environments (4 runs/game in the ‘60s compared to nearly 5 in the late ‘90s) could be viewed as a confirmation of WAR as a wonderful “levels the playing field” metric. 2) 100% of the peak pitching stretches took form in the senior circuit and within two years of expansions. That second point requires further study but we can safely say that while five hurlers have come extremely close, there isn’t one stretch of 4-year greatness that has equaled Koufax. Long live the gold standard!